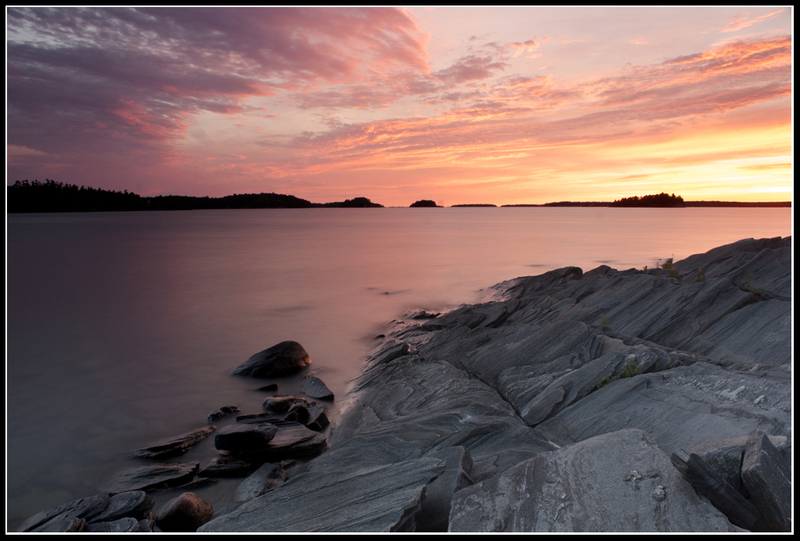 This past weekend I had the opportunity to join my good friend Kevin Collins for a few days of shooting in Killbear Provincial Park on Georgian Bay. Kevin and I have been close friends for just shy of 17 years. Actually, since I just turned 34 it means I’ve known him for half my life. Nice way to mark the milestone really. 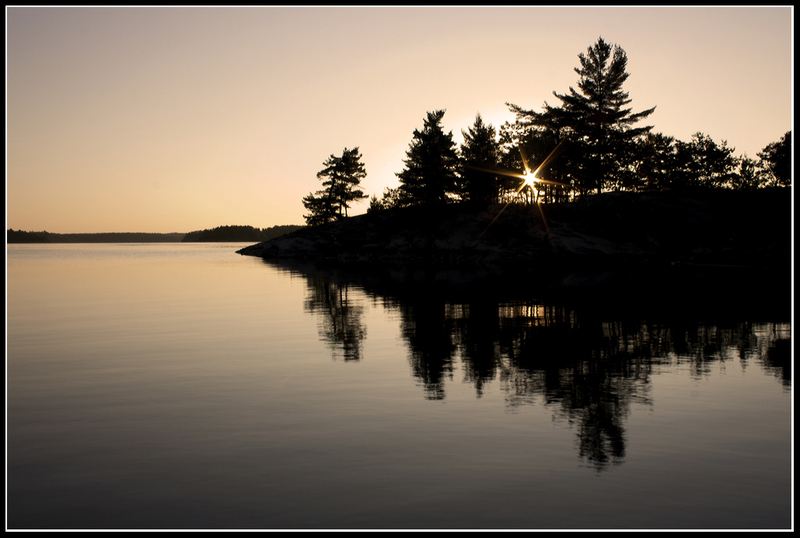 Killbear is an amazing place with an array of beautiful features that form the unique Georgian Bay landscape. From the slate rocks and wind swept tree lines along the shores, to the deep emerald forests with spears of light streaking through, it is an incredible experience. I am still working my way through my images, but here are a few that I was happy with (as always, please click on the images to see larger versions). 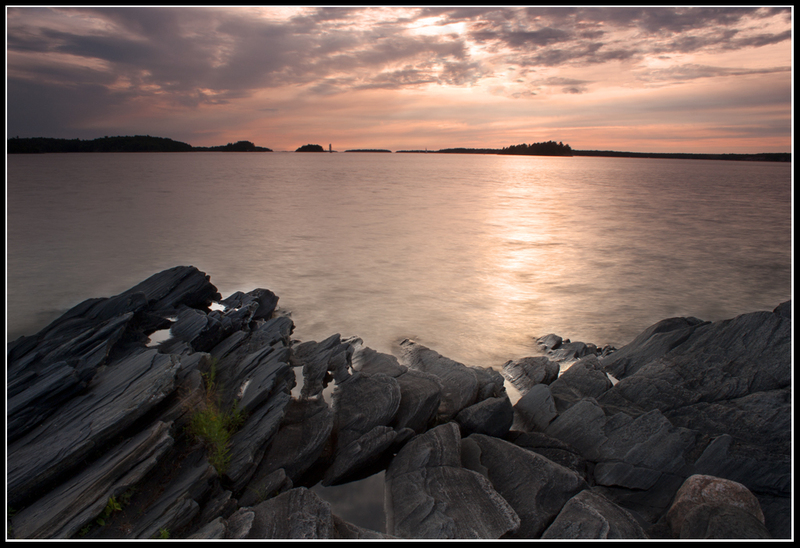 Hey Mike, reading your comments about the area made me think that Tom Thompson or the Group of Seven could have joined you and captured what they saw just as you did. Looks and sounds like a great spot. The second images really strikes me. The brighter part of the sky sort of forms a nice triangle as does the rock in the foreground. The lines or cracks in the rock leads my eye into the frame, where the triangle shape of the water brings me back to the bright sky on the right. Great work, this is why I continue to follow what you do. Many thanks Lee! I continue to follow your work as well, I have just run short on time for commenting. Glad you like these! Beautiful pics Mike! My favourite is the first one….although they are all wonderful. Thanks Lois! I was quite happy with that one as well 🙂 Such a beautiful place. 17 years??? Really…. damn we be gettin’ old. Great shots here Mikey. The third one in particular deserves a digital fist bump! Love the sun star. Can’t wait to see the rest. Hopefully, I’ll have some of mine ready tonight or tomorrow. Peace out. Yep, 17 years! Thanks for the digital fist bump. I was happy with these. Can’t wait to see yours! I really love the first picture… good work. Thank you sir! That’s one of my favourites as well. these are amazing Mike, I think you’re even getting better!! Thanks man! I appreciate the kind words. I feel like I am improving as well, but it’s also nice to feel like I can continue to do better!